The member states of the United Nations has adopted an ambitious commitment to the fight against the AIDS epidemic: "We will end 2030". This was stated by the President of the General Assembly, Mogens Lykketoft, during the High Level Meeting to End AIDS held from 8 to 10 June in New York. The political declaration that emerged from this meeting, in which 600 people participated, including targets and specific and time-bound actions to be achieved by 2020 if the world wants to accelerate the response and end the AIDS epidemic by 2030, within the framework of Sustainable Development Goals. During the meeting in New York, UNAIDS summarized the progress made in recent years, thanks to which 17 million people have access to antiretroviral treatment and there have been significant declines in deaths related to AIDS and new HIV infections between children. "For the first time in history we can say that there are more people starting HIV treatment that new cases of HIV infection in Africa," said UNAIDS Executive Director, Michel Sidibé. He explained that there has been a 60% drop in new HIV infections among children since 2009 in the 21 countries of sub-Saharan Africa have been hardest hit by the epidemic. 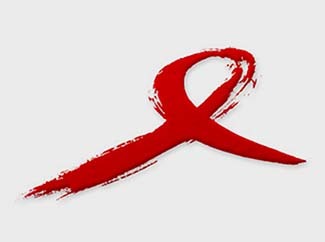 To take advantage of this tremendous progress, a framework was presented to end AIDS among children, adolescents and young people, it aims to eliminate new infections among children, ensure access to treatment for all children living with HIV and prevent new HIV infections among adolescents and youth. 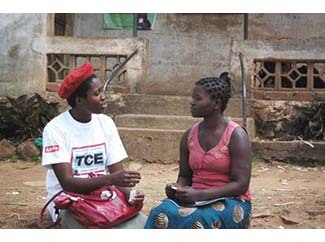 This will fit the Federation Humana People to People, facing the HIV / AIDS in the southern hemisphere with its program Total Control of the Epidemic (TCE), systematically mobilizing the community around HIV prevention and access to treatment. Since 1999, and in 10 countries, it has helped mobilize more than 11 million people who now have all the information about the epidemic and to lao local health services.